The leading cause of Botox immunity is over dosage. If a patient is injected with too much of this botulinum toxin, the body responds by making antibodies to counter the effects. Botox over dosage typically occurs when it is being used to treat a medical condition or when the patient gets injections too frequently, as the effects of Botox are said to be cumulative and can build up over time. If the above scenarios do not apply and you are still not seeing results from your recent Botox injection, it may be that you received too little drug or the Botox was diluted. If you are unsure on whether you are getting the wrong potency or you have Botox immunity, a quick blood test can reveal the presence of antibodies to solve the dilemma. 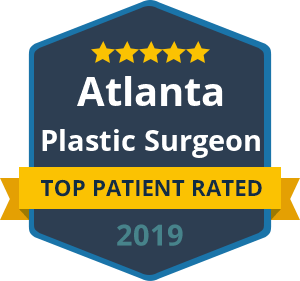 The surest way to avoid Botox immunity or the risk of receiving a watered down injection is to schedule your Botox treatments with a board certified facial plastic surgeon. Dr. Talei understands the muscles, nerves and blood vessels that make up your facial anatomy, as well as how they correspond to facial expression. Botox results are highly dependent on the way they are injected, including precise placement and technique. Choose wisely when it comes to your Botox injector. If you do suffer from Botox immunity, you may try a different brand of botulinum toxin, such as Dysport. Otherwise, there are several non-surgical procedures that can address your facial wrinkles and frown lines, such as fillers and laser resurfacing. At Beverly Hills Center, we take the time to carefully explain your options in facial rejuvenation as well as what you can expect following treatment. We welcome your questions and concerns surrounding Botox treatment for facial aging.